Cutout size: 7.52" X 6.0"
Table top cable well with 7 cable pass-through's. 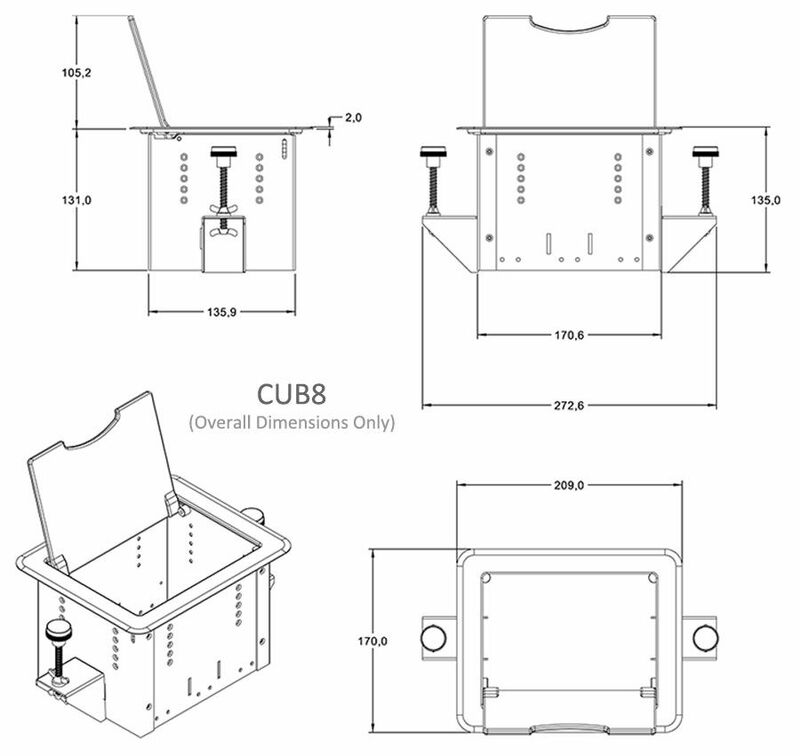 Used with podiums, lecterns, and conference room tables, the CUB8 offers quick convenient table top access to power and cable connections for connecting laptops, projectors, media players and other electronic peripherals. US and Canada electrical certifications.